Already know you're ready to join? Are digestive problems holding you back? Do you suffer from bloating, constipation, diarrhea, or reflux? Do your digestive issues dictate how you live your life? Inside your gut, there are trillions of bacteria, fungi, and viruses. When the microbiome is balanced and healthy, it helps you to digest your food, regulate your immune system, and coordinate nerve signaling and brain function. But the microbiome doesn't always stay balanced. In fact, a variety of factors can lead it to become imbalanced, like an unhealthy diet, high stress, food poisoning, and more. When this happens, you develop "dysbiosis" -- an imbalance between the good and bad bacteria in your gut. This imbalance of gut bacteria is incredibly common in those with digestive issues. In fact, I can count on one hand the number of times I've had microbiome testing come back clean on someone with digestive problems. And I'd need hundreds of hands to count the number of times I've addressed microbial imbalance in those with gut issues and reversed the symptoms that were plaguing my clients lives. Here's the truth: An Irritable Bowel Syndrome (IBS) diagnosis doesn't really tell us anything; it's merely a description of your symptoms. But why do you have these symptoms? Most often, bad gut bacteria are to blame. Whether you have bloating, constipation, diarrhea, reflux, or abdominal pain, fixing your gut bacteria can get you on the road to recovery. When the microbiome becomes imbalanced and you develop dysbiosis, it might first cause digestive problems. But what's happening behind the scenes is possibly even more insidious. When you have dysbiosis, bad gut bacteria that contain a toxic particle called lipopolysaccharide (or LPS) start to irritate the gut barrier. This leads to a loosening of the tight junctions (TJs) that hold that barrier together and prevent the passage of undigested food, bacteria, and toxic waste into the bloodstream. 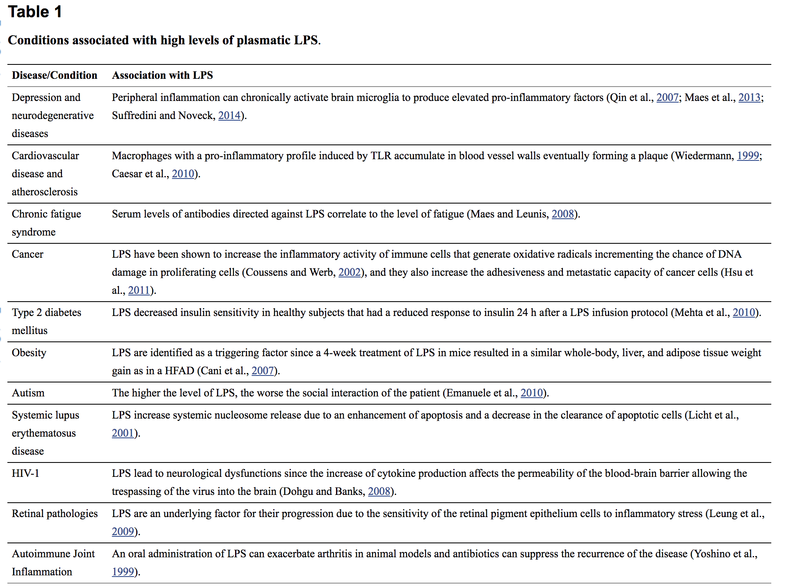 Lipopolysaccharides (LPS): Toxic molecules found on the outer membrane of bad gram-negative bacteria in the gut. LPS is highly inflammatory and leads to loosening of the tight junctions (TJs) of the gut, which allows the cells of the gut barrier to drift apart. This is what is known as "leaky gut." When tight junctions loosen and let the cells of the gut barrier move further apart, it creates a "leaky gut". This means that the particles that are normally too big to make it through the intestinal lining now have a chance to "leak" into the bloodstream and wreak havoc. Lipopolysaccharides (LPS) -- those toxic molecules we just talked about -- make their way from the gut (causing digestive problems along the way) into your bloodstream, leading to chronic, systemic low-grade inflammation throughout your body. Rodriguez-Castaño GP, Caro-Quintero A, Reyes A, Lizcano F. Advances in Gut Microbiome Research, Opening New Strategies to Cope with a Western Lifestyle. Frontiers in Genetics. 2016;7:224. doi:10.3389/fgene.2016.00224. By balancing the bacteria in your gut, you can get rid of digestive problems, improve other health conditions, and decrease your risk of developing future disease. I've spent the last 7+ years working with clients to discover the best way to approach gut healing. 2. Test your gut bacteria to determine if it's imbalanced (and how to fix it). Without testing, you're flying blind. Testing helps us to use the right supplements to help you heal, which makes this process a whole lot faster and easier. 3. Clear out bacteria with antimicrobial herbs. There's a lot of misinformation out there right now about killing off bad bacteria -- you might have heard that you can just follow a specific diet to "starve" bacteria out of your gut. Unfortunately, this is not how it works. You need to use antimicrobials that can target the right things you need to get rid of. 4. Soothe the gut and repair the intestinal barrier. Dysbiosis causes a lot of irritation and inflammation within the gut barrier, which leads to leaky gut. Use targeted supplementation that has been shown to seal up the intestinal barrier to prevent that inflammation from wreaking havoc on your body. 5. Re-evaluate microbiome health & consider some evidence-based dietary restrictions if needed. After finishing an antimicrobial protocol, it's time to test to see how your microbiome is doing. If all looks good but you're still having symptoms, trying a short-term low-FODMAP diet usually makes sense. But we do this the right way and don't have you on the strict low-FODMAP diet long-term. Instead, I have my clients follow the evidence-based 3-phase process to identify which FODMAPs are bothering them instead of keeping them all out of their diet! 6. Reintroduce foods and get on an optimal healthy gut diet. When you're in the throes of digestive problems, it's likely that you won't tolerate a lot of the foods and supplements that are used to maintain a healthy gut like fiber and fermented foods. But once you've gotten significant healing, it's time to start bringing those foods back go optimize your gut health and be able to tolerate a flexible diet. 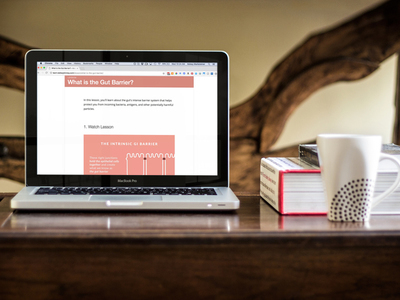 I've created an 8-week group program to help you get rid of digestive problems and heal leaky gut using my validated microbiome-balancing method. Every week, you'll gain access to new videos and content in my online educational portal to walk you through this journey. Eating to Heal. Next, we'll cover what your diet should look like and why eating enough is crucial to healing. This program is NOT about restrictive eating to "heal"; you'll learn why that's the WRONG approach and what to do instead. Healing with Supplements. In this module, you'll learn what supplements you'll need to take to balance your microbiome. 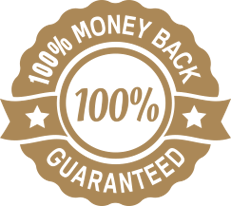 These are my tried-and-true protocols that have worked for hundreds of my clients! If you have testing or order it through the program, you'll be able to personalize your protocol to your testing results. The Gut-Brain Connection. 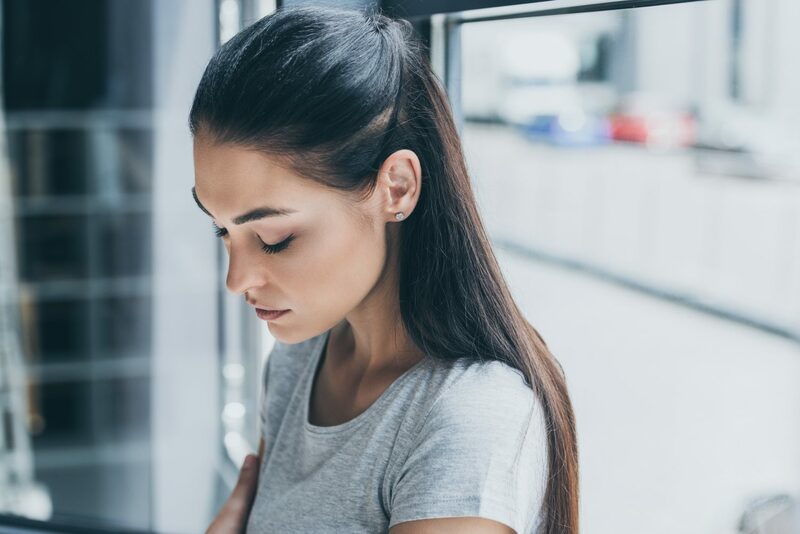 The gut-brain connection is a huge factor in your success -- here, you'll learn exactly how devastating stress can be for the digestive system AND what you can do about it. We'll also go through specific exercises to stimulate the vagus nerve and help push you into "rest and digest" mode more easily. Exercise & The Digestive System. We all know exercise is important, but in this module, we'll go over how it affects your digestive system and how to create an exercise plan that's right for you + your body in its current state. Sleep & The Gut. Your circadian rhythm has an effect on your gut microbiome. In this module, you'll learn how to optimize both your sleep and circadian rhythm to help your microbiome be its healthiest. Eating for Ongoing Gut Health. Our main goal is to get you feeling better and be able to tolerate a much wider variety of foods than when you come in. This is where we'll start reintroducing foods that you've had to take out due to your digestive problems and teach you about the optimal way to eat to encourage a healthy microbiome for life. Re-Assessing Gut Health & Next Steps. 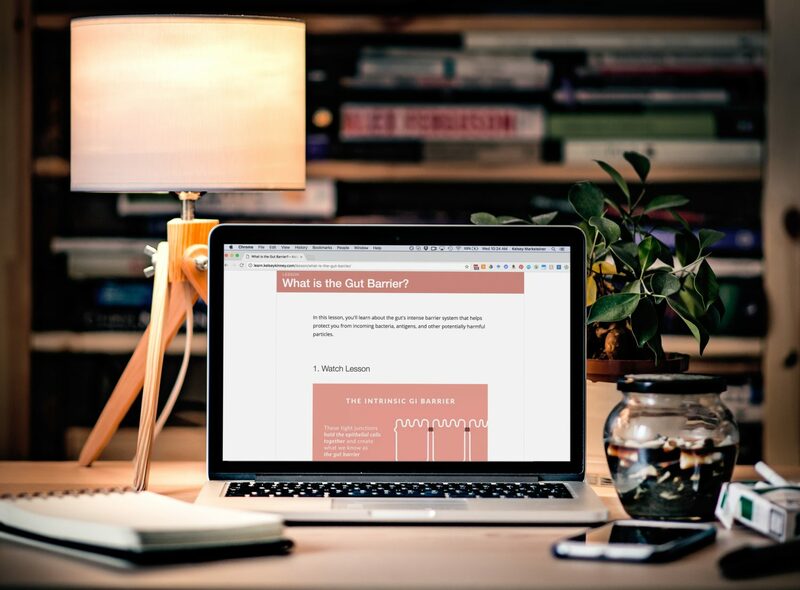 In this module, you'll learn when to re-assess your gut health and if you might benefit from trying the 3-Phase low-FODMAP protocol in which you'll Restrict, Reintroduce, and Personalize the low-FODMAP approach. Most people feel so much better by this point that there's no need to incorporate any more dietary restrictions. But just in case you do, we'll go over it here to make sure you implement dietary restriction the right way and don't end up a super restrictive diet long-term. My goal with Build Your Biome is to give you all the tools you need to succeed. I've organized everything you need to know into a step-by-step action plan so that you know exactly what to do and when. Access the Build Your Biome portal at any time, from anywhere. Here you can watch all the videos in each module and learn at your own speed. Handouts, Transcripts, and Meal Plans. We've created handouts with the basics of what you need to know, and you'll also get access to a 14-day meal plan to help you out if you're stuck on recipe ideas! Join our BYB Facebook group to meet fellow students and help each other out! You'll also get access to prior Q&A sessions to get your burning questions answered. Don't wait any longer to get digestive problems and heal your leaky gut. In Build Your Biome, you'll go through the easy step-by-step process to properly manage digestive problems (without intense, long-term dietary restrictions). Need a payment plan? We have one here..
Kelsey is a Registered Dietitian and the creator of the Build Your Biome program. She has been working with clients with digestive and hormonal problems for over 5 years using a functional and integrative approach to healing. Is Build Your Biome Right For You? You have digestive issues like bloating, excessive gas, constipation, diarrhea, or abdominal pain. You've been to your doctor to have these symptoms checked out. You're willing to change your diet and lifestyle to get results. You understand that the mind and body are intimately connected and are willing to work on your stress levels and incorporate activities like meditation, yoga, journaling, etc. You haven't had your case looked over by a doctor and you're not interested in doing so. You're not interested in changing your diet or lifestyle to help you achieve the results you're looking for. You think meditation, yoga, or other mind-body techniques are too "woo-woo" for you and that they won't help you accomplish your goals. Access to the Build Your Biome educational portal, with new videos and content every week. Get expert guidance throughout the entire process. The Build Your Biome Diet Meal Plans. While the diet I recommend in this program is by no means restrictive, it can be a change if you're coming from a Standard American Diet. To make it easy, I provide you with a 2-week meal plan to get you started! If you end up needing to go through the low-FODMAP 3-phase protocol after you balance your microbiome, I also include a 2-week low-FODMAP meal plan and instructions on how to go through the Reintroduce and Personalize phases. A private Facebook group. Get to know your fellow classmates! Recorded Q&A calls with Kelsey. 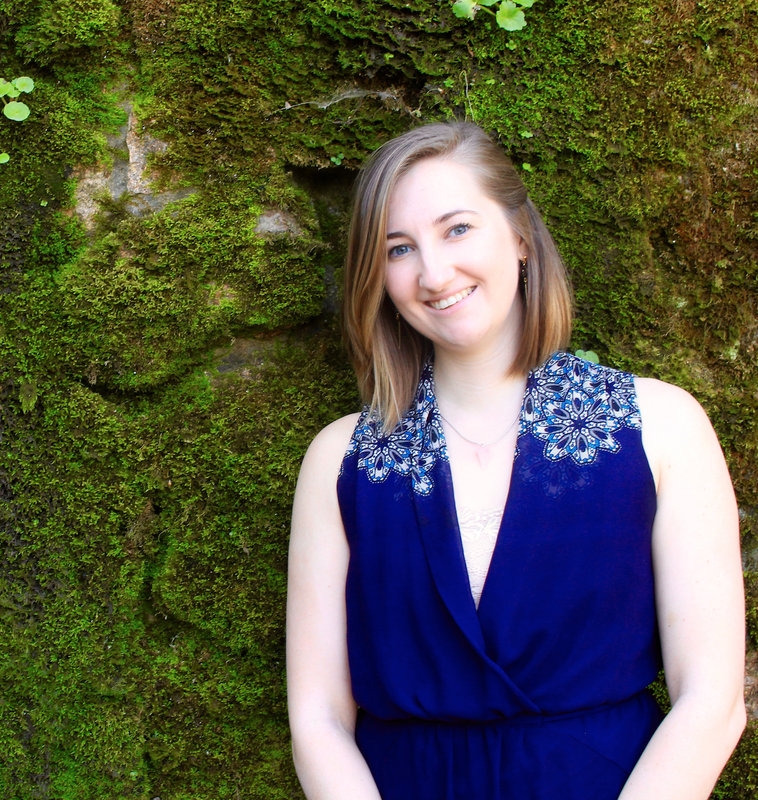 Listen to Kelsey answer some of the most frequently asked questions and gain further insight on your gut-healing journey. Supplement Protocols. If you choose to do testing, you can customize the Bacterial-Balancing protocol to your results. Otherwise, you'll do my basic antimicrobial protocol (which works wonders!). You'll also get my Gut-Healing & Digestion-Supporting Supplements protocols. Supplements are an extra cost -- you'll get access to my supplement dispensary with a 10% discount! Testing kits: a SIBO test and stool test (GI-MAP). *Note that testing is an additional cost. I've worked with other practitioners and have done other programs...Will this really work? I've worked with many, many clients who had been to practitioner after practitioner without results. The good news is that healing is possible. You just need to put the right healing plan in place. Unfortunately, many practitioners are using outdated (or just plain wrong) information to heal their digestive health clients. Sadly, this ends up making the healing process longer for you, their client, and it also makes you feel like you've tried everything and nothing works. I created Build Your Biome to make the healing plan I use with clients as easy as humanly possible to implement and get you results in the shortest period of time. I don't have a lot of time. Do I need to keep up with the 8-week program? You're welcome to complete the program at your own pace, so no need to keep up if you don't want to! You'll always have access to the materials so just come back when you're ready to pick it back up again. That said, you'll only have access to the LIVE Q&A sessions for the 8-week duration of the program (no Q&A the week of Thanksgiving). Can I do this program if I'm vegan or vegetarian? For best results, you should go into this program expecting to eat animal products. Do not join the program if you are a vegan, as Build Your Biome is not designed to accommodate this style of eating. If you are a vegetarian and you can tolerate some animal products like eggs and dairy as well as high-protein vegetables like legumes, we can make it work! Do you offer 1-on-1 help? If you're looking to work directly with Kelsey, you can apply for her 1-on-1 program here. Are supplement and laboratory costs included? Supplement and lab tests are additional fees on top of the program fee. Note that both are optional, but highly recommended for best results. You'll also get access to my supplement dispensary (U.S. clients only), where you'll get a 10% discount on all supplements. ​Can I do the program if I don't live in the U.S.? Yes! However, keep in mind that you will need to figure out where to buy your supplements in your country and there may be extra shipping fees for testing. Many program participants from outside the U.S. order their supplements from Amazon, iHerb, etc. ​​Can I do the program if I'm pregnant or nursing? A big part of the Build Your Biome protocol is antimicrobial herbs, which are not recommended during pregnancy or while you're nursing. ​What if I can't afford it? If joining Build Your Biome will mean you can't afford food or rent, it's not the right choice for you right now. If, however, paying for BYB feels doable, but like a bit of a stretch -- that's good! We value the things we pay for. When we value something, we take it more seriously, we're more motivated to follow through, and we get better results. I want you to join Build Your Biome if you're confident that the investment will be worth it (I promise it will be!) and that you can put in the effort to succeed. All that said, we do have a payment plan available for those who need it. Use that link to access it! Have another question? Email us at support@kelseykinney.com.